Another two weeks have passed and that is my first month at South Cumbria Rivers Trust completed already! How time flies! Following a great Easter weekend spent exploring the Lake District it was back to work on Tuesday. First item on the agenda was a site visit with Mike Sturt to assess an on-line Mill pond near Cartmel that has become excessively silted. The pond is currently a fishery and was created many years ago by damming the Burn’s Beck/Hill Mill Brook. We visited the site to assess if de-siltation would provide habitat improvements, and to see if improvements could be made to a steep weir section downstream of the pond to improve fish passage. Back to the office and a meeting to go through my probation plan. This is a way for me to keep on track and make sure the Trust is happy with how I’m working and progressing through tasks specifically set for me. One of these was to get up to speed on our project and task management system, called Asana. This system splits work into projects and has task lists for each one. These tasks can be assigned to people and due dates can be set for specific tasks. This is a handy way to keep up to date with projects and provides me with a nice to-do list! 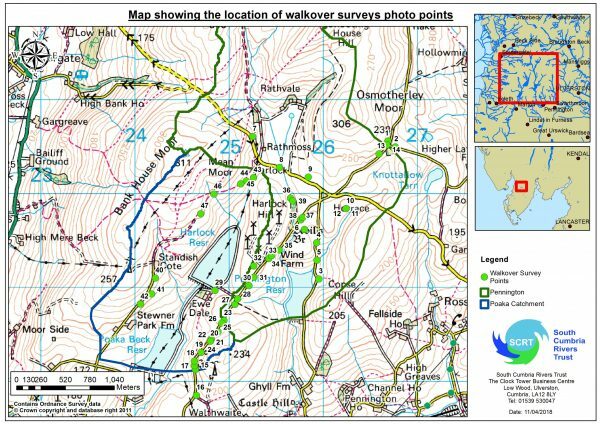 Following our walkover surveys on the Poaka Beck (in the Duddon catchment) last week I also completed some follow up work. This involved inputting our walkover data into the project reports and creating maps showing survey locations. The data was obtained via our handy survey123 walkover app. The app automatically saves data collected in the field, which we can then download in the office as a spreadsheet. This saves us the time and effort of writing up survey data when we return to the office. On the evening of Thursday 5th we held our South Cumbria Rivers Trust patrons evening at Cartmel Primary School. This event showcases the work we do as an organisation to our patrons and potential future patrons. At the event our Technical Officer Mike Sturt gave a great talk on completed project work and also current projects we are undertaking. This was followed by an interesting presentation from Paul Knight, the CEO of the Salmon and Trout Conservation Trust. 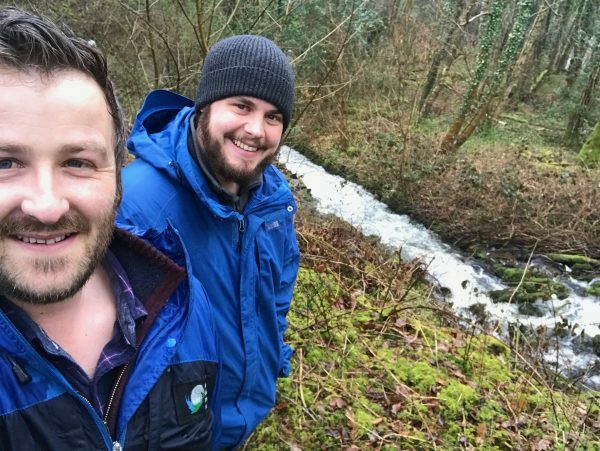 This talk covered key areas of concern for Salmon and Trout, particularly in the UK, the issues of diffuse pollution and indicators of river health, including Riverfly surveying. After a few weeks to settle in I will now be taking on a project we are currently undertaking in the Winster and upper Gilpin catchments. The aim of this project is to determine the current status of each watercourse in relation to its ecology and habitat and where needs are identified, implement appropriate restoration/ remediation options to allow for recovery. A key aspect of the project will be working closely with landowners and the community, so I have been working on updating our website and social media with project information. 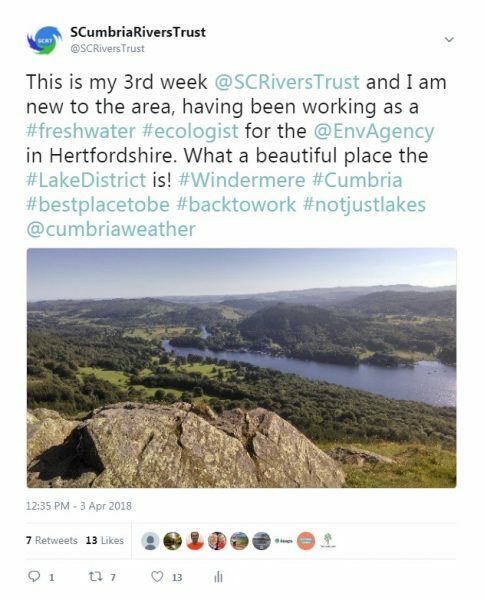 Last week, from the 2nd to 6th April I was let loose with the South Cumbria Rivers Trust Twitter page. My takeover consisted of a number of tweets throughout the week updating the twitter community on the day to day work of a Project Officer at SCRT. Hopefully people enjoyed the updates and I will be continuing to update twitter when I am out and about so keep your eyes peeled! 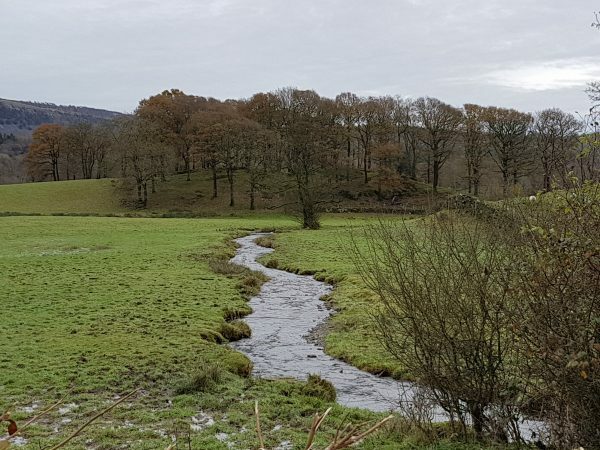 This week I have been focussing on the brilliant Freshwater Pearl Mussel (FWPM) and the work the South Cumbria Rivers Trust have been doing to improve populations of this seriously endangered species. In the next few weeks I am conducting a research trial alongside the Freshwater Biological Association (FBA) looking into juvenile habitats and the oxygen levels in the hyporheic zone. This is the region beneath and alongside a stream bed, where there is a mixture of shallow groundwater and surface water. 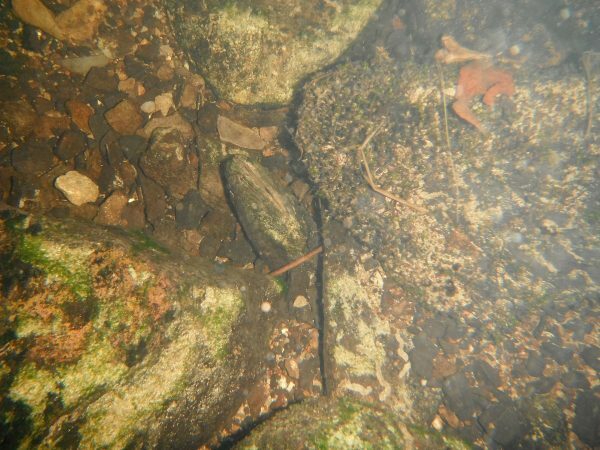 Dissolved oxygen within the hyporheic (gravel interstitial spaces) zone is crucial to the survival of juvenile mussels which bury themselves under the surface of the gravel until they are sufficiently large to emerge and begin filter feeding. I do really enjoy my fieldwork have managed to get out of the office this week too. Firstly, to Torver Beck (in the Coniston Catchment) with Mike West to conduct some walkovers with a landowner who had contacted the Trust and who had worked with us previously. The site visit was a success and both parties came away happy. 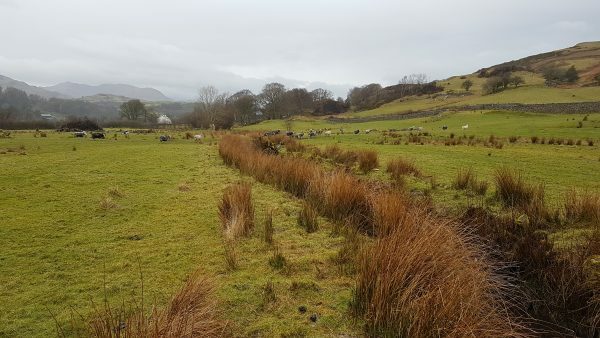 Over 900m of fencing along the Torver Beck and tributaries can be put up on this land, preventing poaching by livestock and sedimentation which can cause reduced salmonid spawning habitat. Today (Friday) I have been on another site visit, this time in Rusland. Again, a landowner had contacted the trust to discuss potential projects on their land and myself and Mike West visited the site to investigate. 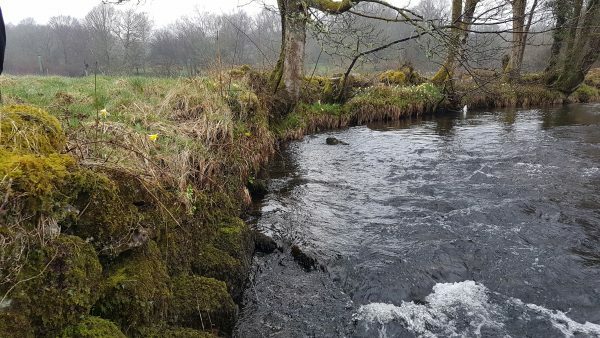 A walkover of the site showed many opportunities for improvement, including the potential to remove revetments to allow the river to behave in a more natural way. This would allow erosional and depositional forces to naturalise the channel shape. Re-connecting the watercourse to the floodplain by re-grading the banks and allowing water storage in high flows would also provide natural flood management by slowing the flow of water downstream. This land is not used for livestock, but is instead a wild flower meadow. Inundation during high flows could therefore change the species assemblage present, which the landowner seemed amenable too.